In Veszprém, on 14 November, it will be the 5th time when Pannonfíling Motion Picture Meeting will be organized. The President of the Jury Géza M. Tóth, an Oscar-nominated animation film-maker. The grand prize of the festival is a one year long scholarship to the Dunaversitas Film Academy. The other prizes will include object prizes. lnek. PASSPORT CONTROL 15 - MEDIAWAVE ART CAMP - less then few days for discounted application - 15 JULY!!! Don't wait till 15 of July. Apply now and save those euros for another roll of film, or another glass of beer, and a lot more. 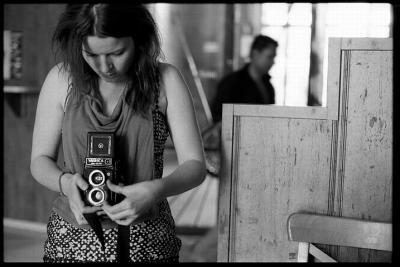 Our film and photo workshops are not only for the advanced. All applicants get personal professional help, education and advices from their tutors. Our film workshop is open for for those, who are interested in olnly one segment of filmmaking as well. Let it be a future cameraman, editor, sound-technician, there is much for them to be learned and practiced in our camp. Teachers and applications - click here! Application form - click here! The workshop is already third in a row to be organized in cooperation of South-Siberian KINOCHERDAK and Hungarian MEDIAWAVE Festival. This years international summer camp is to support to gain practice-based experiences in filmmaking and photography. The camp is already a traditional form of deepening the Győr-Novosibirsk friendship aiming young and creative people to meet and see the world. Creative work in the art workshops has resulted prospering professional cooperations and true friendships. See MEDIAWAVE Gallery and the Film Archive. Since last year the camp has been for the mainly young people at the age of attendees and who are at least 16 years old as a part of the PASSORT CONTROL International Juvenile Workshop founded in 2006 and organized at foreign countries as well. The organizers are focusing on professional work and are not taking a hand in pedagogic supervision. They are looking for young people who long to improve their creative skills and have enough fanaticism in order to show their talent. Breaking the traditions the summer camp is now moved to Kisharsány and is to be a part of the Ördögkatlan Festival 29. July - 9. August. The animators of the Festival (Bárka Theatre, the House of Arts, Pécs) have requested the Mediawave Foundation to organize the programs in Kisharsány. It seems to be a favourable occasion to hold the camp at a domestic and inspirational place. 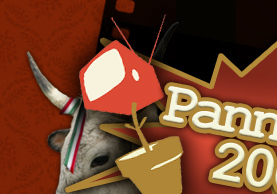 The 38th West-Hungarian Independent Film Days will be organised in Balatonalmádi between 20-22 March, 2009. The FILMFUND GYŐR calls for an application for short fiction films shot in Győr and in its region to stimulate the film production in Győr. As guidelines, the tenderers give four keywords: VILLAGE - CITY - DREAM CAR - BREAKDOWN. The specifications are that the film plan cannot be a road movie and the word 'breakdown' is interpreted as an abstract expression. This werkfilm is a quick report about the final touches of Attila Antal's (director from Subotica) film shooting in Győr. More exactly about the last scene's records taking place in a middle age prison of the old county house of Győr. The film, the list of the crew and the sponsors can be found in the attachement! This morning, Attila Antal from Subotica (Serbia) started to shoot his short fiction film in frame of the Passport Control Film Workshop. The director graduated at the Film Academy in Novi Sad two years ago and this is his fourth film. 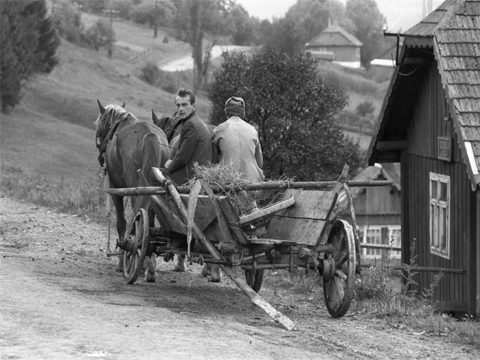 The film plan was submitted to the screenplay application of the Filmfund Győr. Attila Antal and the MEDIAWAVE have had a connection for a couple of years, he was a teacher in the last three international film workshops (Subotica, Ravazd, Zalacsány). 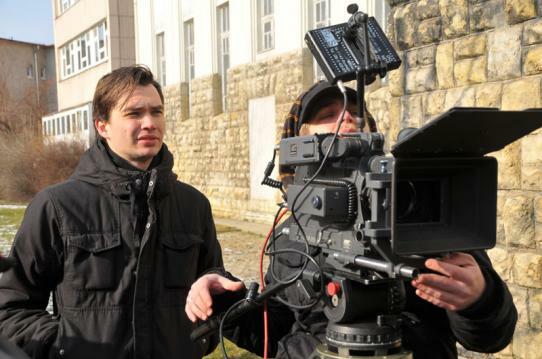 Győr - Last summer came up the idea of a short fiction film which will be shot with actors from Győr in the cellar of the City Archive and the yard of the Kazinczy High School this weekend. The completed film can be watched at the opening ceremony of the MEDIAWAVE Festival. The Second Edition of the Cinema Total will be organised by the Collegium Hungaricum. 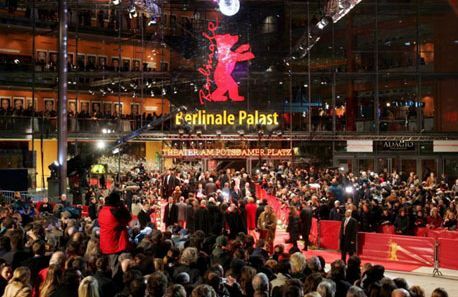 The 'Hungarian house' will give place to exhibitions, receptions, special screenings, workshops, round table discussions and German-Hungarian film professional meetings during the 59th Berlinare between 6-13 February, 2009.